It’s not every day we get to salute the sun with the ocean to our right and the expanse of lush, verdant greenery adorning swells of larger-than-life canyons and valleys to our left, and some glorious blend of the topography in front and behind us. 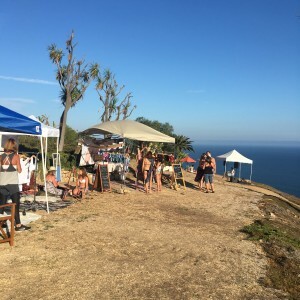 It was a Saturday afternoon in July and we were one of the hundreds of bold and beautiful women congregating for the second annual Goddess Celebration in Malibu Canyon on the grounds of a private home. 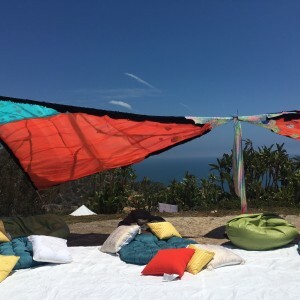 Hosted by Re/creation, the day was everything you can imagine — serene, tranquil, and ripe with carefree ebullience. To be in a place surrounded by women of all ages, backgrounds, sizes, and expectations only to unite and indulge in a day of happiness and self-care was pretty surreal. 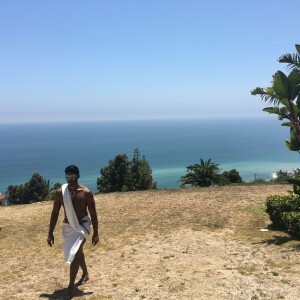 We were instructed to leave our cars along the PCH or in the parking lot of the Topanga Ranch Motel where vans driven by silent, hulking masked men clad in togas would drive us to our destination and then sage us upon entry. The point of this gender distinction was one of female empowerment, explained Gina Marie, who led a meditation after Heidi Hong led that 90-minute yoga session. Hearing her explanation was such a powerful reframing of what could have just seemed like a place for girls to enjoy some silent, cat-call free man servants. It really resonated and changed the whole feel of the event for us. The details added to the goddess nature of the event with women-led and run vendors purveying products of femininity like Swim Like a Mermaid, Love Herb Girl, Keggel, Owl Venice, and workshop stations that included flower crown making, tea healing and psychic readings as well as sample classes of acro-yoga, pole dancing and aerial silk. 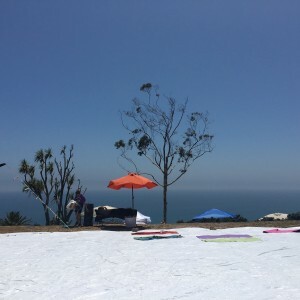 Simply put, whatever we were doing: drinking cocktails by the pool, downward dogging or warrior posing, laying in savasana, or trying something totally new, we did it minus self-consciousness or competition. It was our day and it was all about letting go!